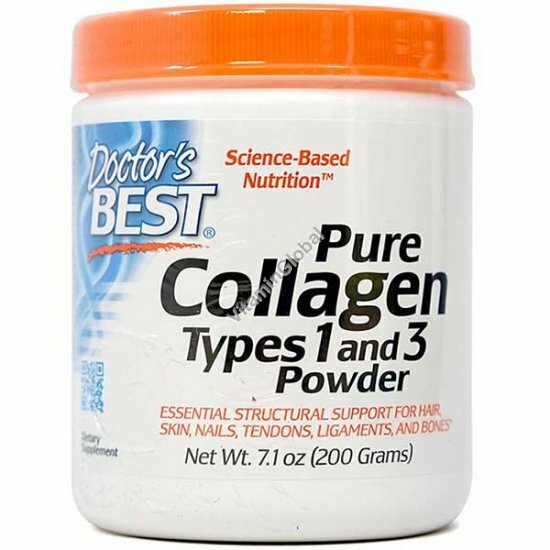 Ingredients: Collagen Types 1 & 3 (source: Bovine). Suggested Use: Adult Use: Dissolve 1 scoop of powder in a small amount of water or juice. Add an additional 6-8 oz of liquid, mix well, and drink on an empty stomach at least 30 minutes before meals, or as recommended by a nutritionally-informed physician. Avoid taking with any other proteins as they may interfere with collagen absorption. Warnings: Store in a cool dry place. This information does not constitute medical advice and is not indicatory. In case of a medical problem, contact your physician.